The Natural, Bernard Malamud's first novel, published in 1952, is also the first—and some would say still the best—novel ever written about baseball. 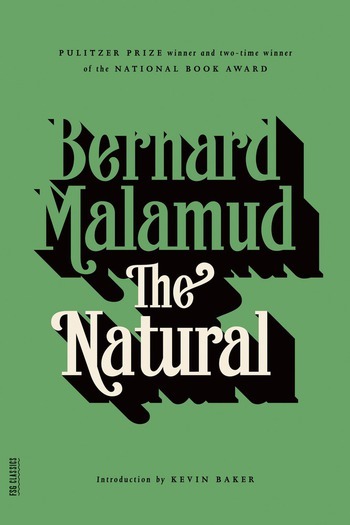 In it Malamud, usually appreciated for his unerring portrayals of postwar Jewish life, took on very different material—the story of a superbly gifted "natural" at play in the fields of the old daylight baseball era—and invested it with the hardscrabble poetry, at once grand and altogether believable, that runs through all his best work. Four decades later, Alfred Kazin's comment still holds true: "Malamud has done something which—now that he has done it!—looks as if we have been waiting for it all our lives. He has really raised the whole passion and craziness and fanaticism of baseball as a popular spectacle to its ordained place in mythology."